GBC is an independent, statutory, publicly-funded corporation providing television, radio & online services on The Rock of Gibraltar, focusing primarily on community affairs and entertainment. A board appointed by the Gibraltar Government exercise their function as “governors” ensuring all broadcasts adhere to the directions enshrined in the Broadcasting Act of 2012. Among other issues, this specifies that programmes are not offensive and remain politically impartial at all times. The Board also oversees the Corporation’s finances. GBC’s Management team comprises the Chief Executive, Gerard Teuma; the Head of Television, Paula Latin; the Head of Radio Ian Daniels; the News Editor, Jonathan Sacramento; and the Head of Engineering, Michael Corcoran. 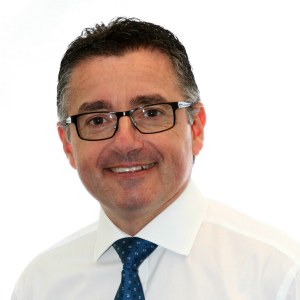 Gerard Teuma was appointed Chief Executive in 2012 after seven years as Head of Radio Gibraltar. He started his career with GBC in 1984 as a Radio/TV Presenter and later as a Senior Broadcast Journalist. During his over 30 year-long career with the Corporation, Gerard became a household name in Gibraltar presenting various shows on Radio Gibraltar and anchoring GBC TV's Newswatch and debate programmes as well as numerous major broadcasts, such as General and European Elections, and the 2002 Joint Sovereignty Referendum. He also revived the GBC Open Day in the late 80s, for it to become the Rock's foremost charitable event, having raised more than £2 million for local deserving causes since then. As CEO, and having negotiated improved Government funding for the Corporation, Gerard has spearheaded and overseen the relaunch of GBC TV for it to provide improved continuity and a wide-ranging selection of locally-produced and imported programmes, including GBC's first ever local commissions from independents. Gerard Teuma is also a Board Member of the international organisation Public Media Alliance, where he represents GBC.